The American Sailing Association is affiliated with the two largest charter companies in the world, Moorings and Sun Sail. These international companies honor ASA certifications for charters whether you choose to cruise the Caribbean, Tahiti, or Mediterranean. When you receive your American Sailing Association certification you have received a lifelong endorsement. No renewal exams or fees, just pure sailing, for life. Eight-five percent of sailing schools in the United States are American Sailing Association members, ensuring your certifications are recognized at almost any sailing school in the nation. The American Sailing Association believes “sailing is safe, fun, and easy to learn. Sailing is only complicated or stressful if those teaching it choose to present it that way.” Here at the Seattle Sailing Club, we couldn’t agree more! Connections: The American Sailing Association is affiliated with the two largest charter companies in the world, Moorings and Sun Sail. These international companies honor ASA certifications for charters whether you choose to cruise the Caribbean, Tahiti, or Mediterranean. Timeless: When you receive your American Sailing Association certification you have received a lifelong endorsement. No renewal exams or fees, just pure sailing, for life. Size: Eight-five percent of sailing schools in the United States are American Sailing Association members, ensuring your certifications are recognized at almost any sailing school in the nation. Philosophy: The American Sailing Association believes “sailing is safe, fun, and easy to learn. Sailing is only complicated or stressful if those teaching it choose to present it that way.” Here at the Seattle Sailing Club, we couldn’t agree more! ·Timeless: When you receive your American Sailing Association certification you have received a lifelong endorsement. No renewal exams or fees, just pure sailing, for life. ·Size: Eight-five percent of sailing schools in the United States are American Sailing Association members, ensuring your certifications are recognized at almost any sailing school in the nation. ·Philosophy: The American Sailing Association believes “sailing is safe, fun, and easy to learn. 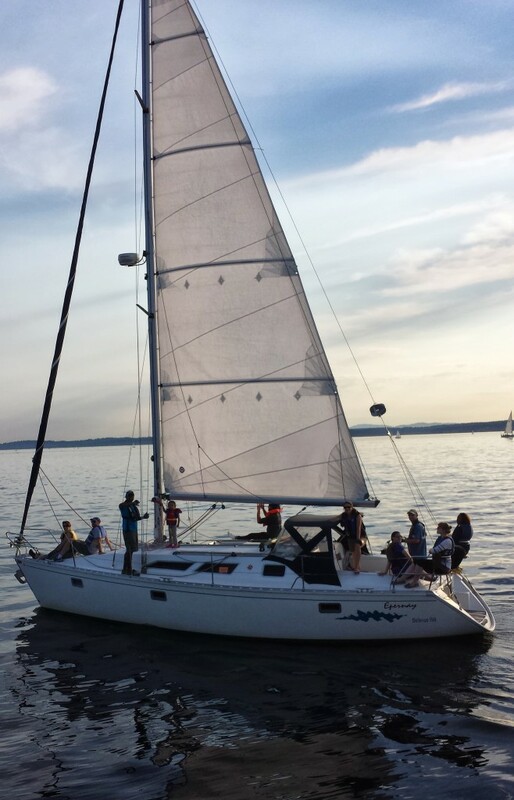 Sailing is only complicated or stressful if those teaching it choose to present it that way.” Here at the Seattle Sailing Club, we couldn’t agree more!